Bancroft Health Center professionals are available during the school day to care for the physical and emotional health and well-being of the Bancroft School community. 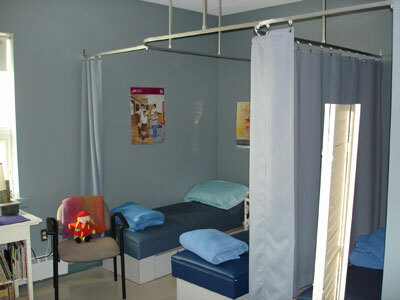 The Health Center is located on the first floor of the McDonough Center and is staffed throughout the school day by a dedicated team of professionals who respond to each child's unique experiences and developmental stage. 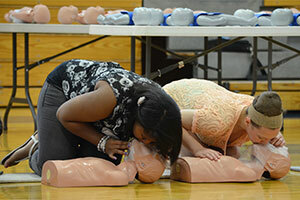 Bancroft students trust the Health Center professionals to address illnesses and accidents and ease their concerns. Whether they need help removing a splinter or treating a bee sting, a listening ear, or a quiet space to relax or reflect, they know the Health Center is a place of safety and comfort. In case of serious health issues, Health Center staff will help parents identify appropriate health providers in the community or will facilitate emergency care if necessary. School Physician Kathleen Cleary, M.D., is also available for consult.